Home > Top Coats, Base Coats, Nail Treatments & Cuticle Oils > Cuticle Oils, Treatments & Cuticle Removers > Creative Nail Design Cuticle Away Cuticle Remover 6 oz. 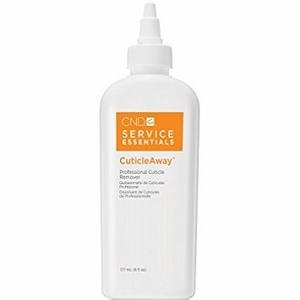 Creative Nail Design Cuticle Away Cuticle Remover, 6 oz. size. It dissolves dead skin around nail for easy and painless removal of cuticles. It can also be used to soften calluses for easy removal.